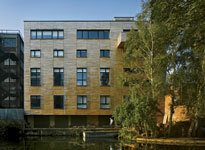 Outline the environmental benefits of building with wood. 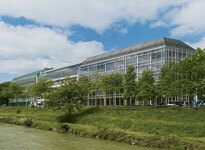 Describe the structural and fire-resistive properties of light-frame and solid-panel wood construction. 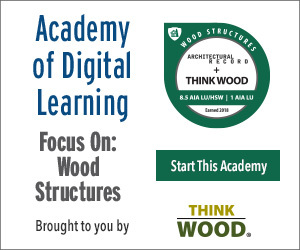 Describe the structural strategies that design teams are deploying in order to use wood in taller buildings and to create longer spans. Discuss the code-compliance issues that relate to using wood in unconventional building applications. Long one of the most universally applied construction materials, wood established itself as so indispensable to the built world that it began to be overlooked, practically invisible. In recent years, technical advances have given birth to a wide range of process innovations, such as CNC milling and off-site assembly, as well as engineered-wood products with enhanced performance properties. These developments have prompted designers to take a new interest in the material, exploring not only its aesthetic appeal but also its structural potential and environmental value. A sampling of projects — from a seven-story office building that employs traditional wood joinery to a new model for ultra-energy-efficient housing — highlight surprising new uses of this age-old material. For credit, read all of the stories below and take the quiz. 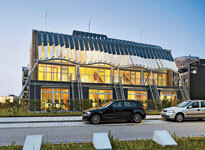 Green to the Bone: A mixed-use building experiments with an engineered wood material that is gaining traction in Europe. 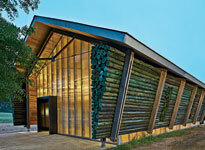 Camp Craft: A design-build team explores the potential of low-grade timber for a Boy Scout troop's headquarters. Timber's New Wave: A set of rowhouses combines a traditional all-wood structure with strategies for generating and saving energy, offering a new model for low-carbon living. 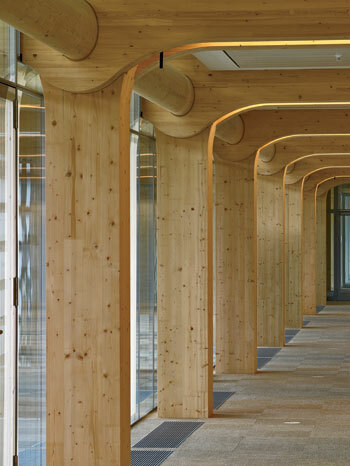 Inside Job: A finely crafted timber office building for a Swiss media company makes a strong statement from within. 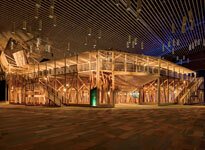 Traveling Show: A pop-up theater assembled inside a giant ballroom brings new scale to portability. 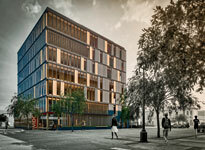 Three projects under construction in North America demonstrate that timber can be used as an alternative to concrete, steel, and even masonry.